The club regularly donates (items in need) to the community, but on 20 June 2016, it was a donation unlike any other. 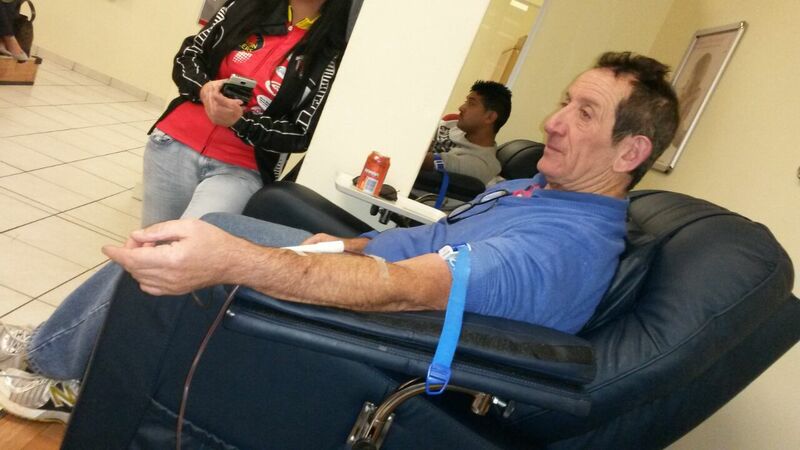 Some of the club member gave up a weekend of quality training to donate blood – the simplest reason: to help save the lives of patients in need of blood transfusions. 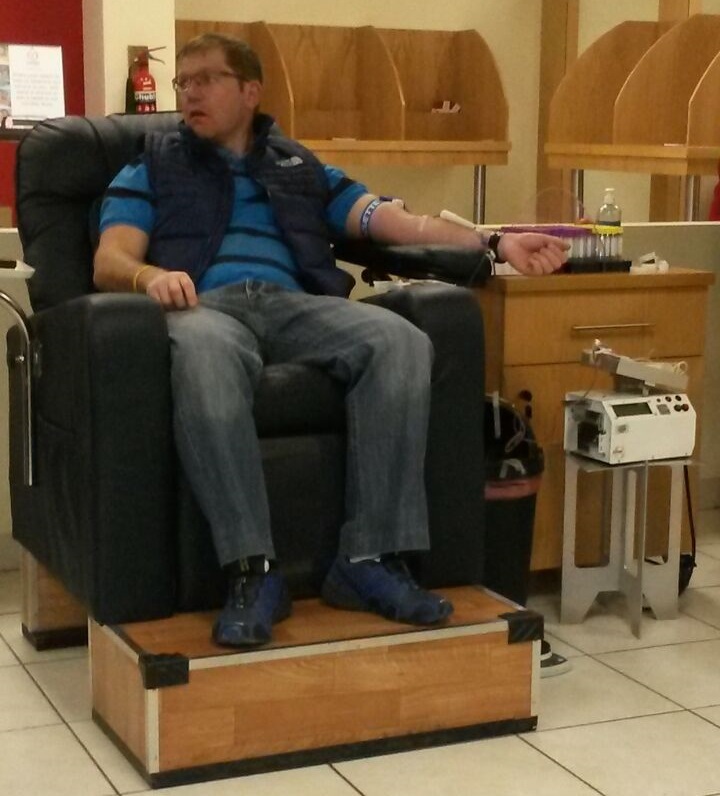 Just knowing that one unit of blood can save up to three lives is a rewarding enough feeling. Every unit of blood once tested and is deemed safe for transfusion is separated into, red blood cells, platelets and Plasma. 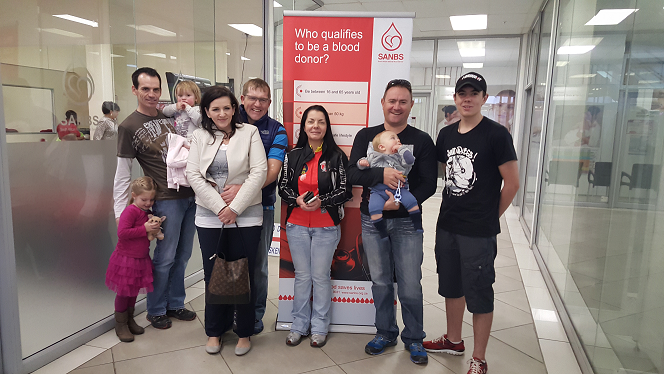 Pictured above (left to right): Gerald (nearly 50 donations), Mandy, Simon, Michelle (unable to donate), Jason and Adrian. Missing from the photo were Mervyn, Des and Richard. 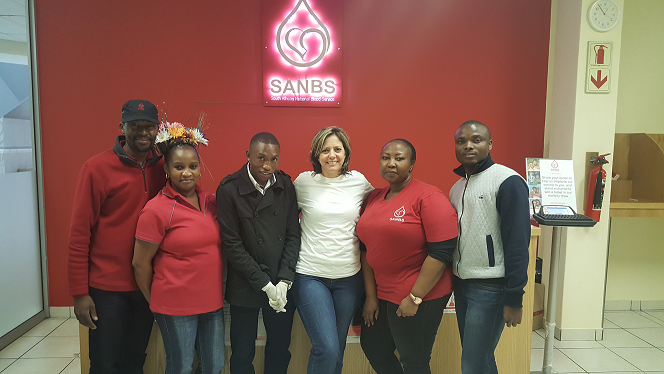 The SANBS team with Yvette (who organised the day through her business – Triton Real Estate). A big congratulations to the team and our members.